John Wick does everything I want an action movie to do visually. It lets its choreography shine by not over-editing its fights into an incoherent mess, and at 100 minutes it never overstays its welcome. This emerges from the same school of filmmaking as The Raid and represents all the most promising trends in the action genre. Here the film even ups the ante by doing some world building (characters have pre-established, almost mythological relationships, and they interact with a clear set of symbols like the gold coins and the Continental hotel), and by playing with its color palette and saturation to reflect Wick's emotions (flat black and white for his grief in the beginning; vibrant reds and blues for his enjoyment once he returns to "work"). If I had to pick a direction for action movies to go, this would be it. The reason I'm not falling head over heels for it is that there's barely enough story to support the action. It has all the substance of a drug dealer going through a dry spell, and while I'm the last person you'll hear crying "style over substance," there's just not enough of either to consider this a really exceptional film. The narrative is just another version of Taken: a thin excuse up front to buy into the revenge fantasy of our hero systematically murdering some Eastern European bad guys. It tries to be a metaphor for mourning (e.g. Wick's all-black suit), but it never gets past the idea that "the dog was my chance to grieve and you took that away." For all the bleak austerity of the film's beginning, it never really lends any weight to the proceedings. The pace is so quick that it will never leave you bored, but once it's over there's remarkably little worth taking home. 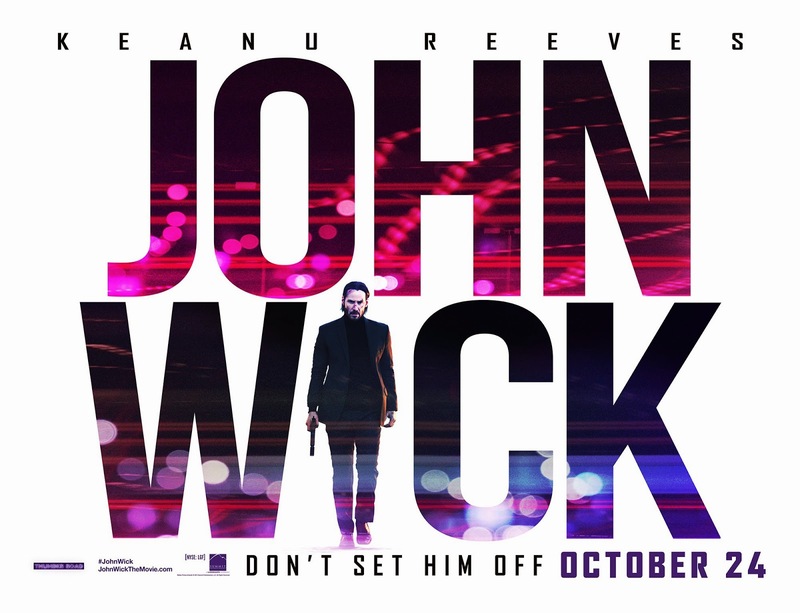 John Wick is slick and lean and represents a step in the right direction for a genre which has been struggling to find its voice since the 90's, and for that I really wanted to enjoy it more than I did. But while I found its entertainment slightly ethereal, as if it might evaporate before my eyes at any moment, it seems to have found an audience both at home and abroad (almost quadrupling its budget), and hopefully that will be enough to send the message to studios and filmmakers. This is what we want, Hollywood. This is how you make an action movie. I don't want to make a big point about this because as much as it bothers me I think it's more of a nitpick than a real problem, but John Wick is not a good film for women. The only real screen time for females goes to the competing assassin who breaks the rules and whom Clarke Peters says is "no lady," and to two accountants keeping track of Viggo's valuables who daintily scamper away after being threatened (not to mention Wick's wife who spends the entire film dead). It seems the two options for women in this world are traditional gender roles where they're accepted but defenseless, or more masculine roles where they can defend themselves but are seen as corrupt and evil. Good women stay home and count your money; bad women go out and learn to protect themselves.